"Newcastle have won their last four home league matches, which included a victory over the champions, so the Magpies will be confident about defeating an inconsistent Everton side." 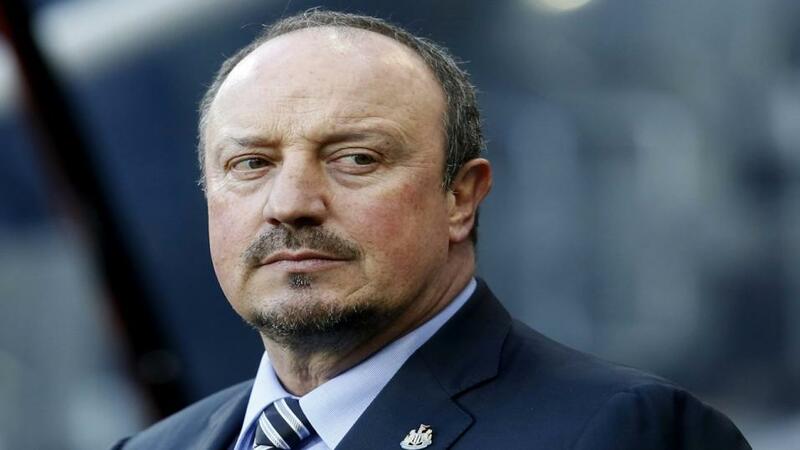 Newcastle's Premier League status was under serious threat heading into the new year but a series of impressive results have given Rafa Benitez's side a healthy cushion over the bottom three. The Magpies stunned Man City after beating the champions 2-1 at St James' Park in January which was a huge boost for the club. Since this victory, Newcastle have picked up successive 2-0 home wins over Huddersfield and Burnley to lift them up to 14th and six points clear of the relegation zone. The arrival of attacking midfielder Miguel Almiron in the January transfer window has lifted the team and he made an influential contribution against Huddersfield on his full debut. Newcastle were beaten 2-0 at West Ham in their last game. Everton boss Marco Silva has come under pressure from fans after a poor run during his first season in charge at Goodison Park. The Toffees are tenth in the table but have struggled for consistency and rarely produced performances to excite the supporters. An FA Cup exit at Millwall and three consecutive defeats last month, including at Silva's former club Watford, increased the scrutiny on him. A 3-0 victory at Cardiff and a goalless draw at home to Liverpool on Sunday has given him some breathing space. Everton created little against their rivals but taking points off the title challengers in the derby was an encouraging result and something for Silva to build on for the rest of the season. Newcastle have won their last four home league matches, which included a victory over the champions, so the Magpies will be confident about defeating an inconsistent Everton side. The Magpies are the same price as their opponents at [2.86] and that has to be of interest considering their current form at St James' Park. Everton are also [2.86] so essentially the two teams cannot be split in terms of favouritism. The Toffees have been difficult to trust this season though and have lost seven of their 14 away matches. Everton have been beaten at Watford, Southampton and Brighton since December so there are enough doubts to swerve backing the visitors. The draw is available at [3.25] and the first game between the teams this season finished 1-1. Everton and Newcastle have both drawn seven games this season and the tightness of the betting suggests this could easily finish in a stalemate. But Newcastle's run at home encourages confidence in them this weekend. It looks worth backing the hosts and odds of [2.0] in the draw no bet market appeal. Newcastle have kept three clean sheets in their last four home league matches and their defensive strength has been vital to their improved form. Everton have failed to score in three of their last four games and in each of these fixtures at least one team has kept a clean sheet. Using Betfair's Same Game Multi, backing no for both teams to score and Newcastle in the double chance market boosts odds to 2.86 and is worth considering. No Premier League fixture has seen more penalty goals than Newcastle vs Everton (18). Of the 52 fixtures in the competition to have seen at least 100 goals, this one has seen the highest percentage (14.2) scored from the spot. It is 3/1 for a penalty to be scored at St James' Park this weekend.